The all solid wood José Ramírez FL2 was designed by the fourth generation of the family in the late 90’s. It’s a more complex design than the FL1A hence its sound is bigger and rounder. 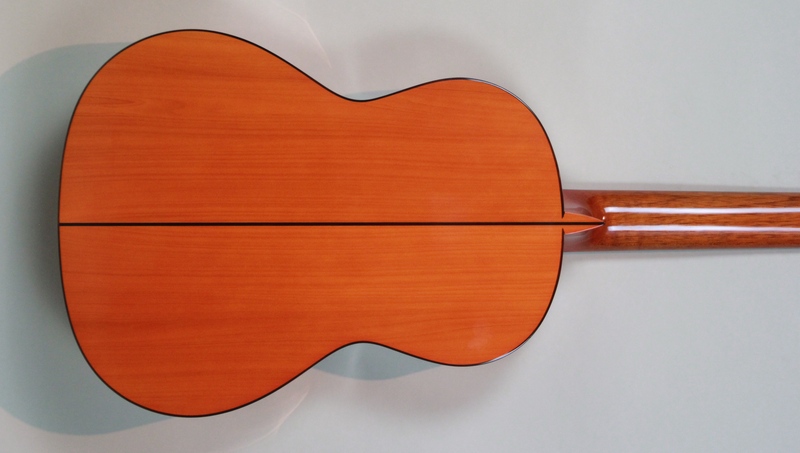 A fantastic choice for soloing and leading. Its fast attack and drum-like basses make it a favorite of many.The Ebony fingerboard makes playing scales smooth and fast while defining accurately. Dialogue between the basses and trebles are well-balanced and captivating. The freedom that one feels making music with the FL2 is there on the first touch. 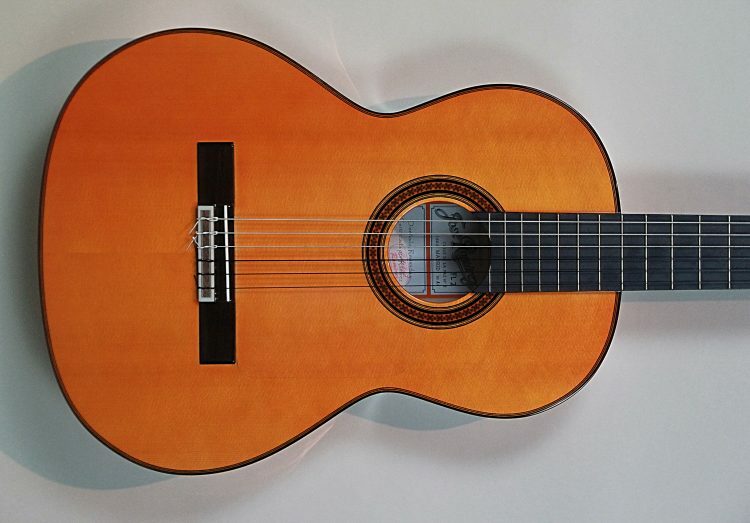 Gorgeous Cypress woods enhance the rhythmic patterns.As many Flamenco models are perfect for the background, this José Ramírez guitar is a great instrument for both soloing and accompanying. It will never disappoint you. It comes with a golpeador to protect the top.